Northumberland boasts breathtaking countryside and a glorious coastline. Steeped in history, it offers a superb variety of attractions for holidaymakers of all ages. 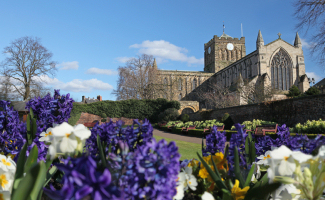 Finechambers Chapel is ideally situated for visiting the market town of Hexham, famous for Hexham Abbey. The town offers a wide choice of shops, cafes and restaurants. Corbridge is an attractive small town with an abundance of high quality independent shops, pubs and cafes. There are numerous opportunities for interesting days out, including Hadrian's Wall, Durham Cathedral and Beamish Open Air Museum. 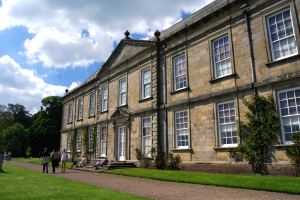 Historic houses to visit include Belsay Hall and Castle, Cragside and Wallington Hall. Northumberland Heritage Coast boasts long, empty beaches of golden sand and numerous castles, including Bamburgh, Dunstanburgh, Lindisfarne on Holy Island, and Warkworth. Alnwick Castle and Alnwick Gardens are also well worth visiting, and a boat trip from Seahouses to the Farne Islands to see seals and puffins, is a wonderful experience. 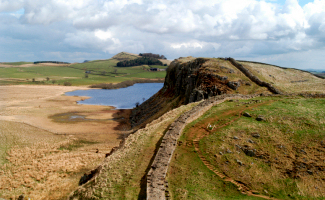 Northumberland offers excellent walking opportunities. In the area around our holiday cottage, there are excellent walks off the beaten track, including footpaths over wild moorland to the attractive and historic villages of Allendale and Blanchland. There are also several excellent long distance routes, including Hadrian's Wall, Northumberland Coastal Path and St Oswald's Way. Use the controls to zoom in and out. You can move the map by clicking and dragging it with your mouse. Zoom in fully for best accuracy. Satellite and hybrid views can be obtained by clicking on the buttons at the top right. Drag and drop the orange man icon to access StreetView. Our self-catering holiday cottage is located close to Hexham and Corbridge in rural Northumberland. Our cottage is well stocked with tourist information leaflets, maps and walking guides.